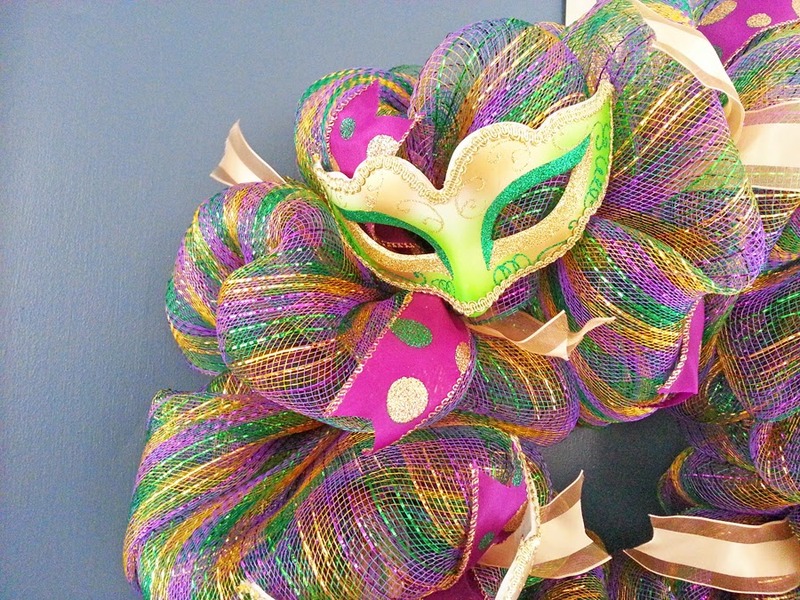 Another big and beautiful Deco Mesh Mardi Gras Wreath I recently completed and actually sold about a week after I posted it in my Etsy Shop. 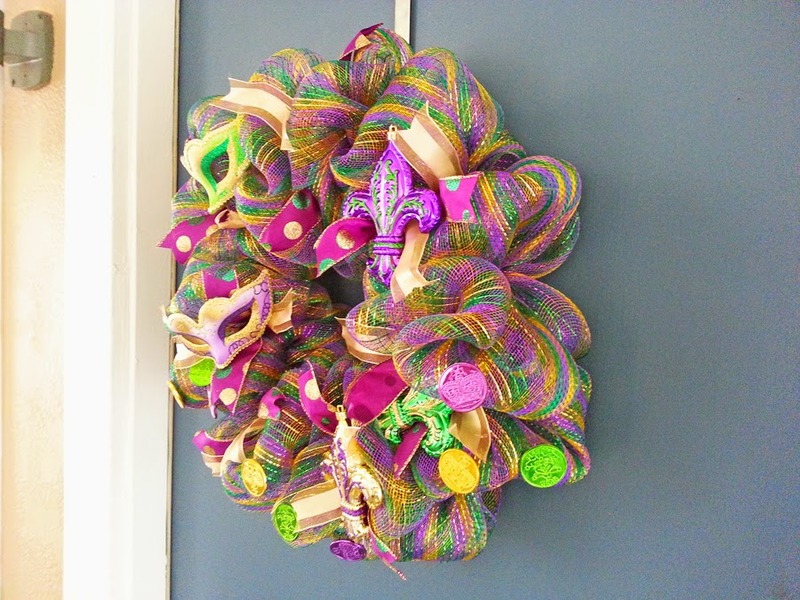 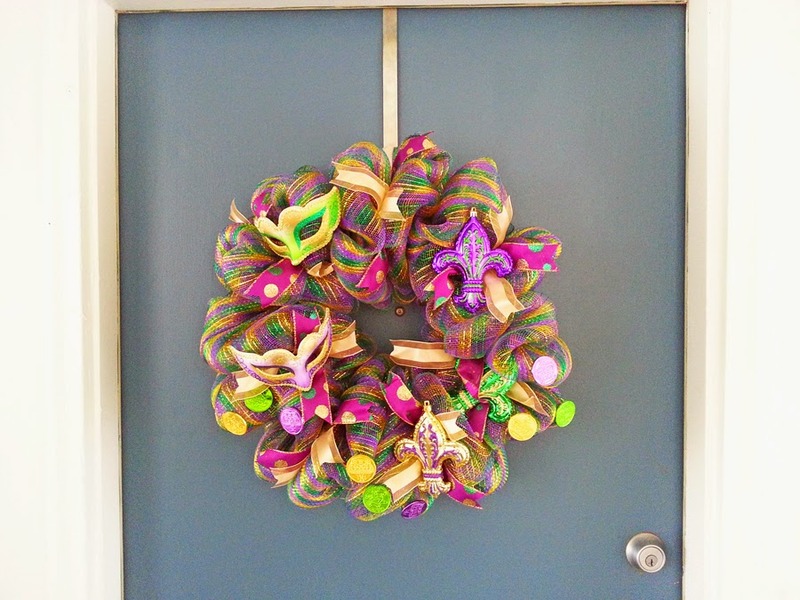 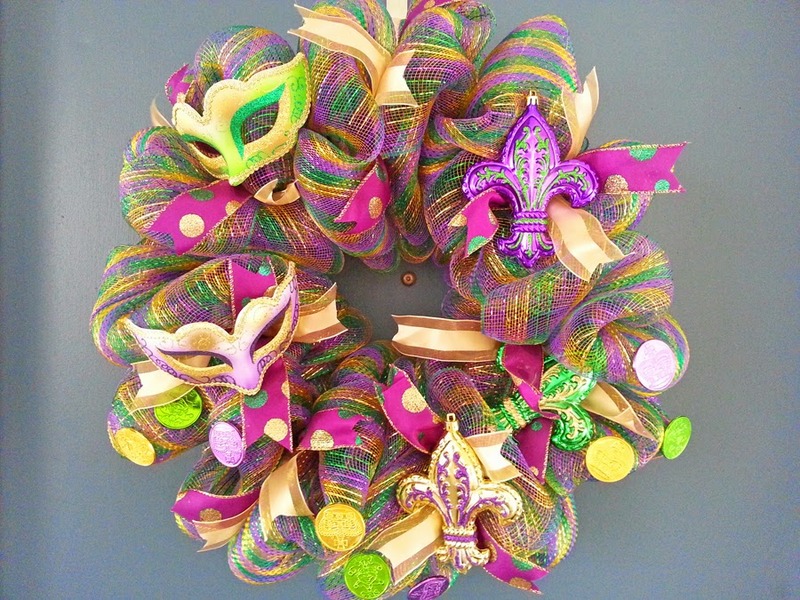 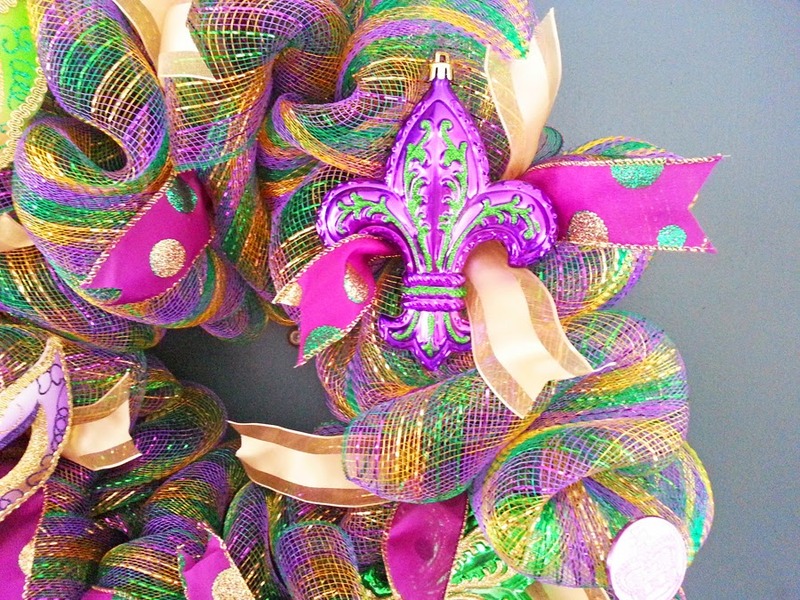 This wreath is filled with lots of ribbon, two mardi gras masks, Fleur-de-lis and doubloons! 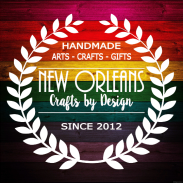 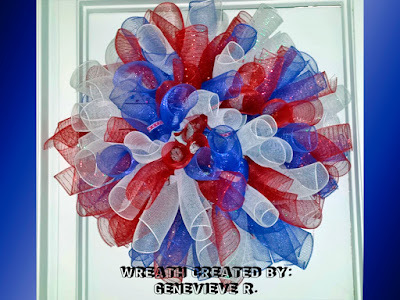 Visit my Etsy Shop to see my current selections or request a custom designed wreath!